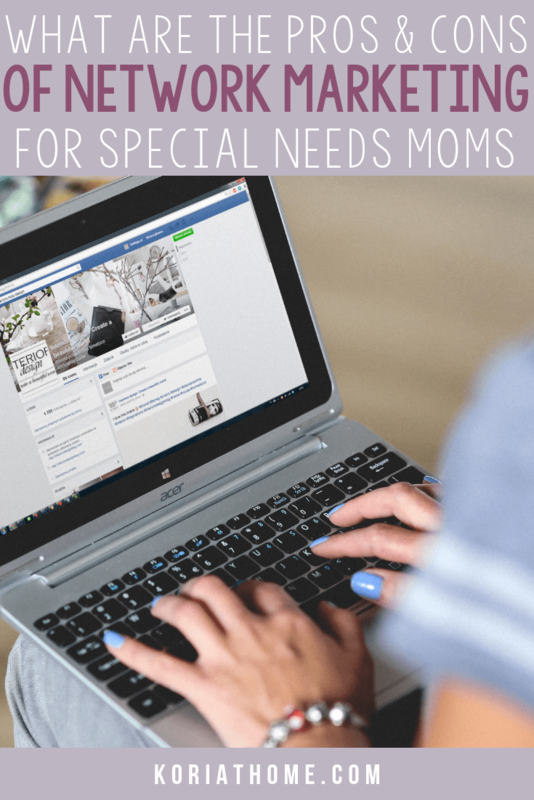 Are you a stay at home mom of special needs kids? I’d imagine that’s one of the reasons you’re here. As a work at home and homeschooling mom, I was on a quest once to find a business that could grow with my time and work around my family. In that quest, looked into several network marketing options. 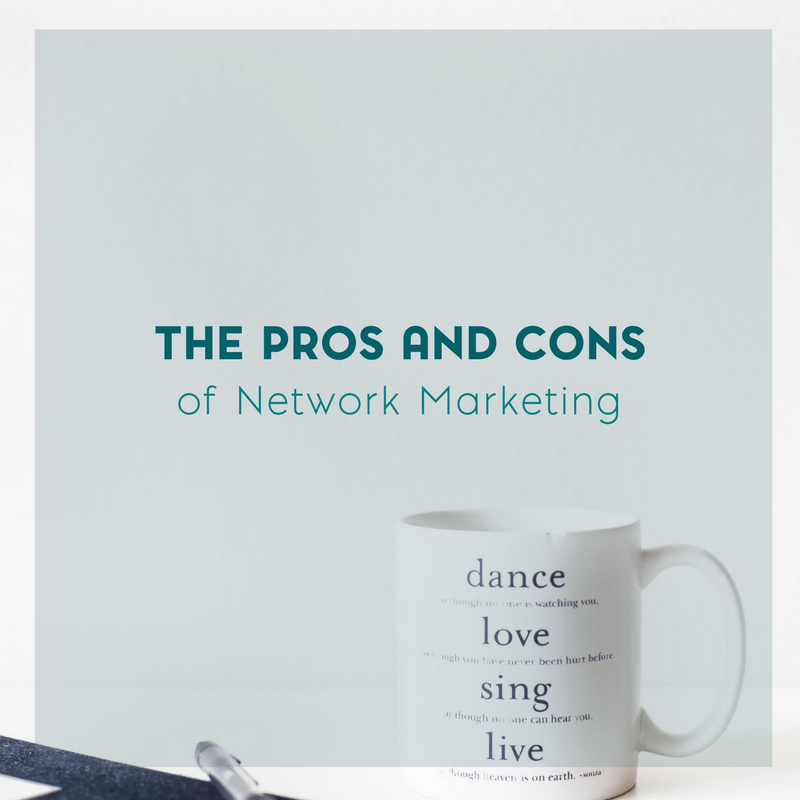 And because of that, I was able to come up with quite a few pros and cons of network marketing. Why should you consider network marketing from home? When I first started looking at my options, I knew that I wanted to be able to create a work schedule that revolves around my life. 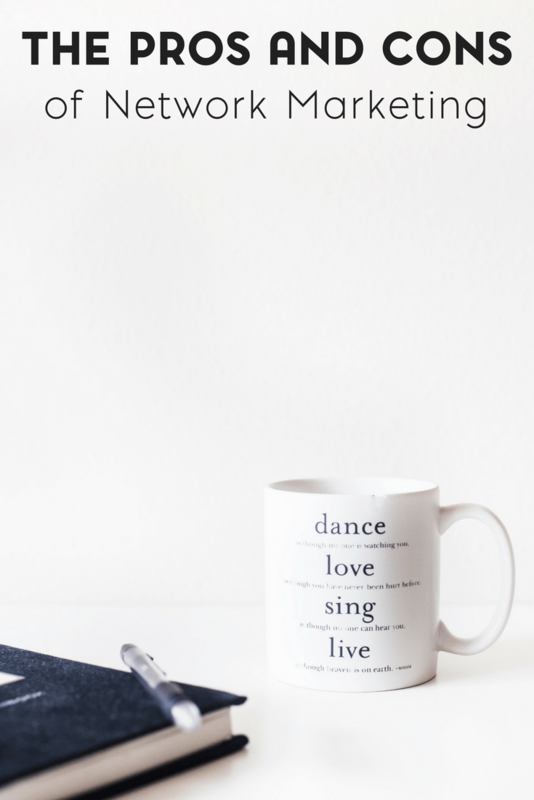 I wanted the freedom to work from virtually anywhere. And I want to contribute financially while doing so. 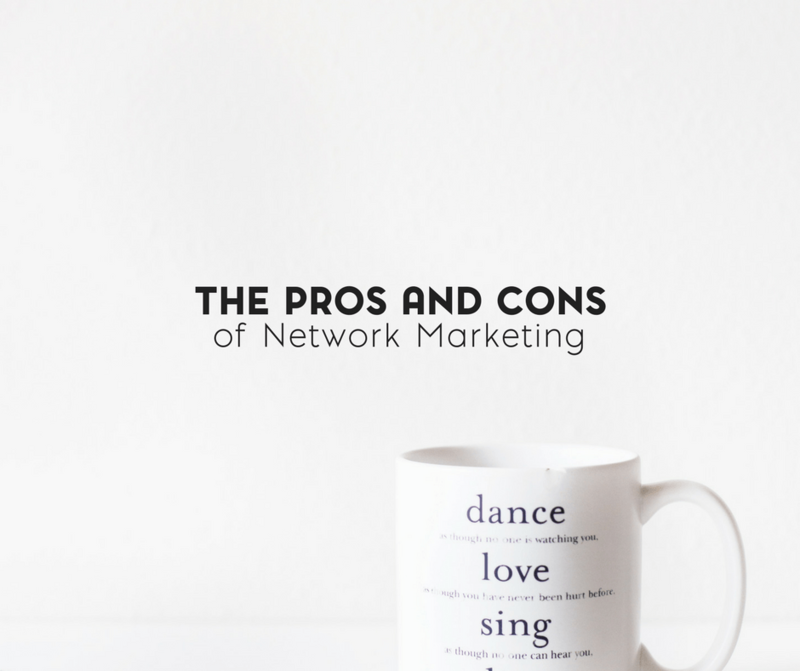 One of the options that I’ve looked into was network marketing. 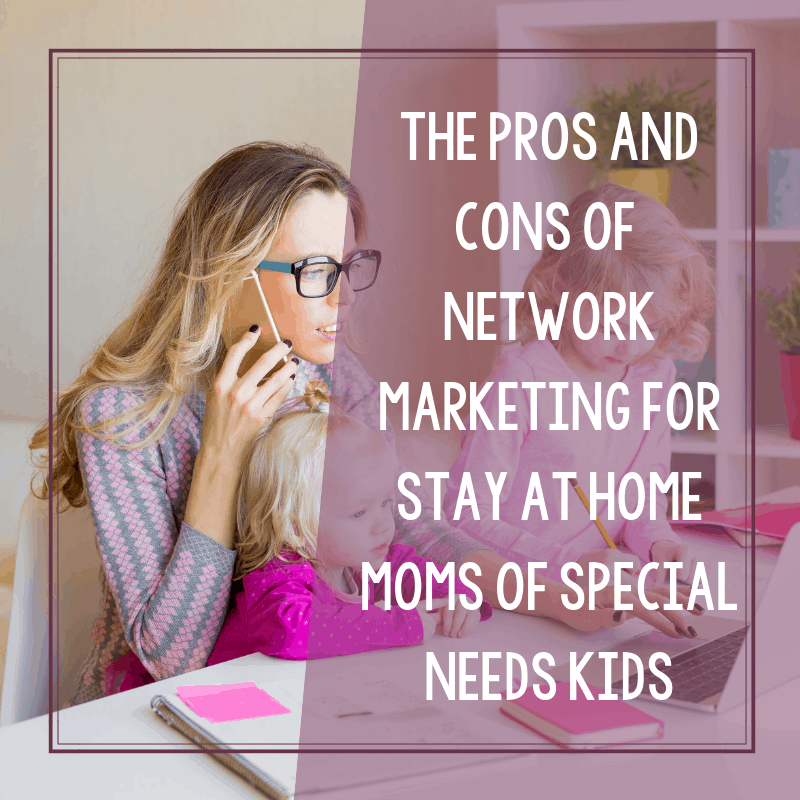 But what are the pros and cons of network marketing for stay at home moms? Is it really a viable business option? 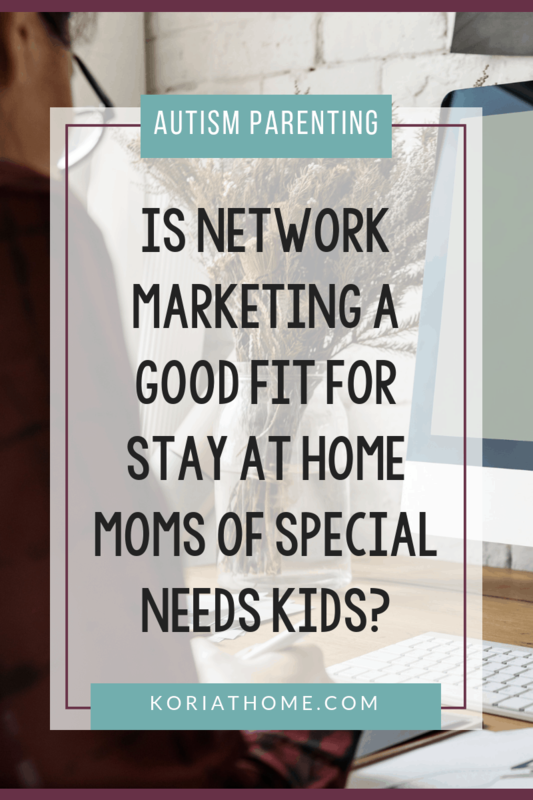 The vast majority of moms who work at home do so in some multi-level marketing opportunity. This is also referred to network marketing and sometimes direct sales. What does that mean? If you have ever heard of Tupperware, Pampered Chef, Mary Kay or Avon, you know what a MLM is. In short, a multi-level marketing opportunity refers to those that encourage you to find people to work in your “downline” and this brings more money to you without you doing much more work. Let’s look at this in a bit more detail. When you begin working for a company like Pampered Chef, you become the downline of another consultant. When you sell products, your “upline” makes a small amount of money off your sale, all without lifting a finger. It’s a little like passive income. Of course, there might be some work finding people to be in the downline, but once that’s done all that’s left is the general challenge of managing people and encouraging them to do well in their jobs so the upline does well in theirs. When you become someone’s downline, you can focus on your own business and building a client base. You might forget all about building your own downline, but most people who work for MLM-based companies will eventually decide to work on building their own downline so they can make additional income. Once you become an upline, you make money off each sale that your downline makes, and your upline makes money off your sales as well as the sales of your downline. It might sound complicated at first, but when you consider the general premise as explained here and then combine that with the concept of “multi-level marketing”, it becomes a bit clearer. There are many advantages to working in a MLM structure. First and foremost, there’s support. Starting a business at home can be scary for a mom, or anyone, and knowing that there’s a built-in support network can be reassuring. You will know going in that you have others you can call with questions, meetings you can attend that give you selling techniques and other support processes. In addition, depending on the MLM you sign up with, you might be given selling materials, information about seminars you can attend, and other things that will help you build your business. In addition to all of that, if the product you are selling has already established itself as a good product that has a good base of customers, you might likely already have a built-in customer base that comes to you rather than you trying to court them. As part of your starter kit – which many companies require that you purchase – you will also likely have a starter set of sales and order forms. Joining a MLM isn’t for everyone. It does require selling things, and many moms aren’t interested in selling things, particularly at home parties. For those who do sell, there are minimum requirements to meet, and this varies from company to company. These minimum requirements might be met each quarter or month and some companies will put on hiatus a consultant or salesperson who doesn’t meet their minimum even just once. If you are interested in selling a product, but don’t want to have parties, you might decide the best way for you to make money is to do online sales (which most MLMs will allow) and to have people in your downline. You can spend time training them and helping them increase their sales, which helps your bottom line. The other people in your life – friends and family – might not look favorably at your decision to sell a product in a MLM structure. They might think that you are always trying to sell them your product and they might tire of being invited to your parties. All of these are things to consider before you sign up with a MLM. And, finally, even though you might spend a good deal of time building your at-home sales business, some of the people you know might not see what you do as a real job, and you’ll have to consider how to deal with that. As you can see, there are many advantages and disadvantages of joining a MLM. Many WAHMs have made very good money selling products this way, but knowing the ins and outs is important. Are you part of a network marketing company? What do you enjoy about it? « What Does Autism Look Like? This is a great post for those who may be considering getting into network marketing! Thanks so much for sharing with us at Share The Wealth Sunday!